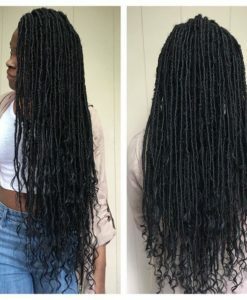 As the name suggests, crochet braids are hair extensions that are literally crocheted into your own hair (braided into cornrows) with a latch hook tool. This type of hairstyle has been popular in the lack hair community since the ’90s. We have acquired a selection of some of the best crochet braids on the market, just for you!